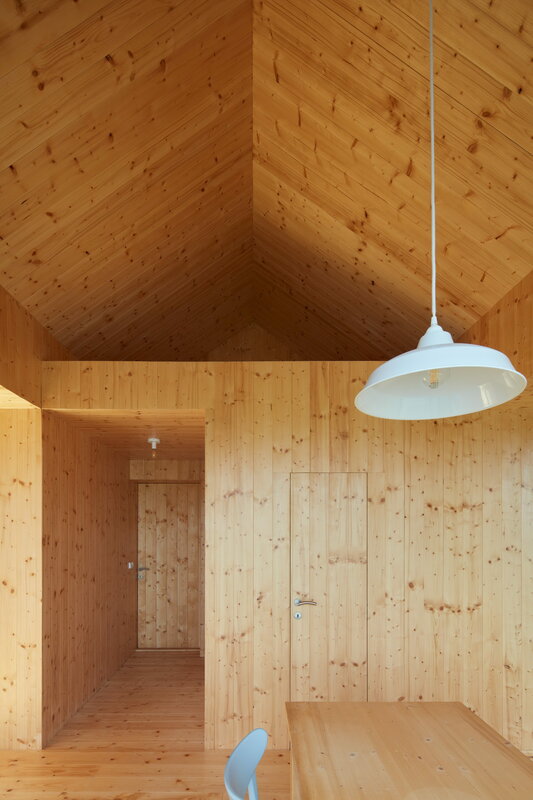 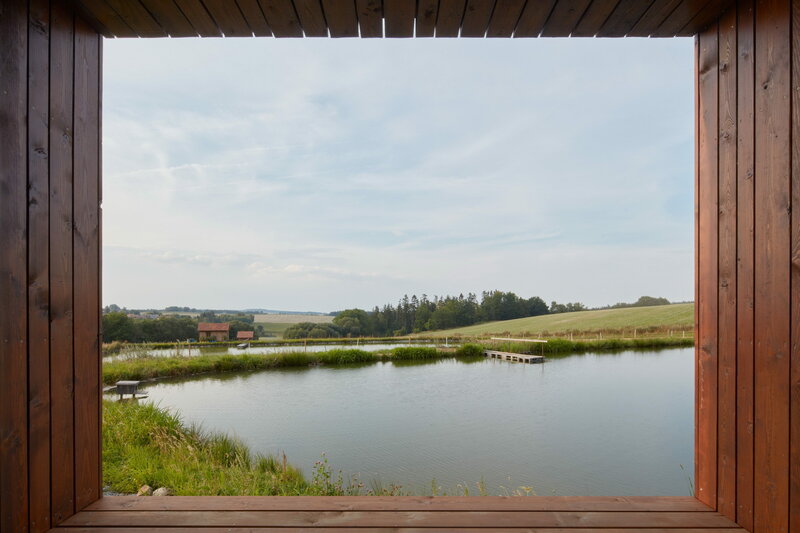 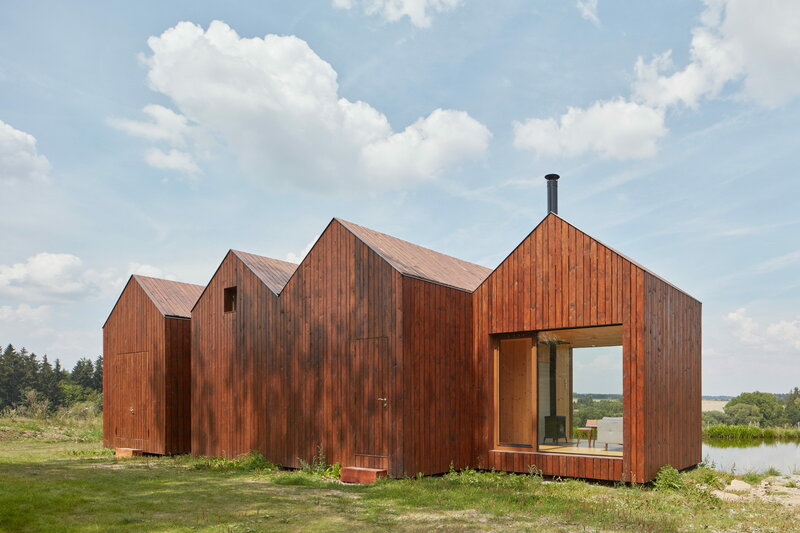 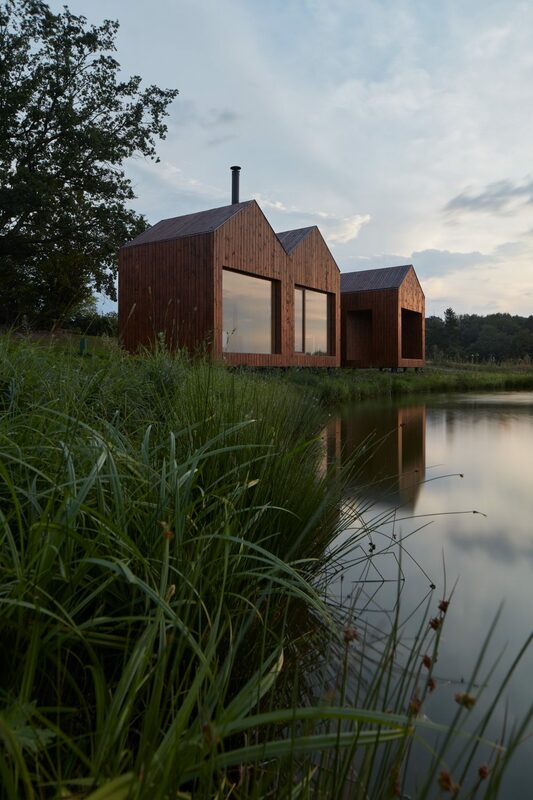 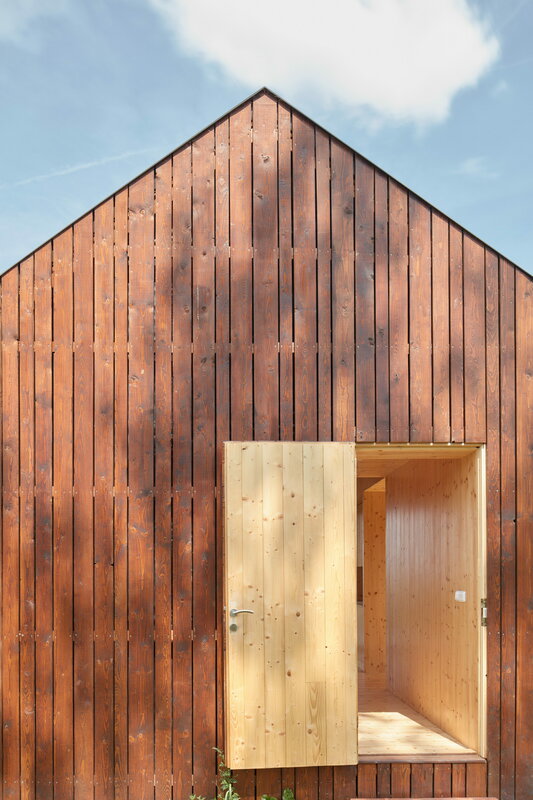 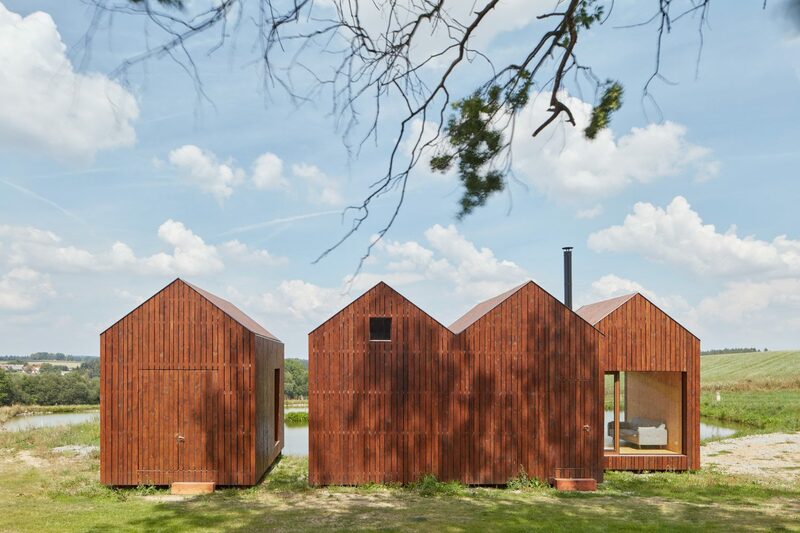 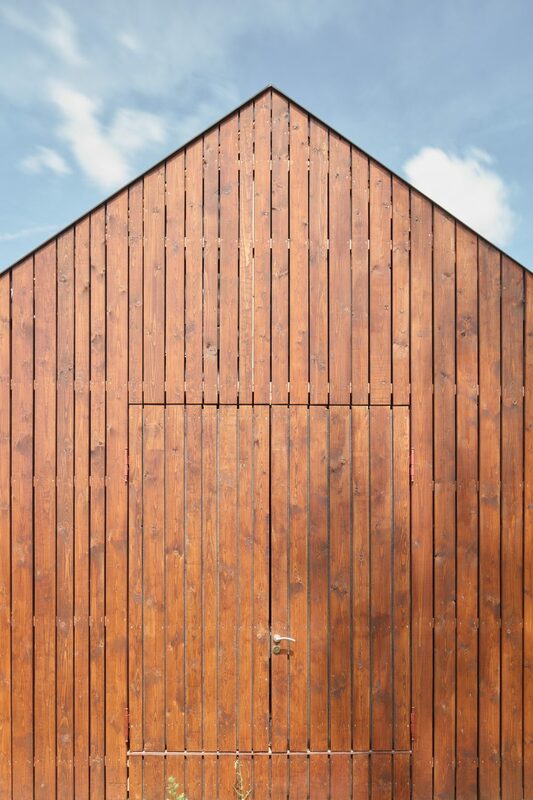 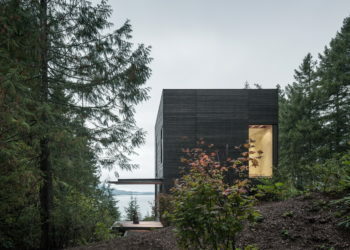 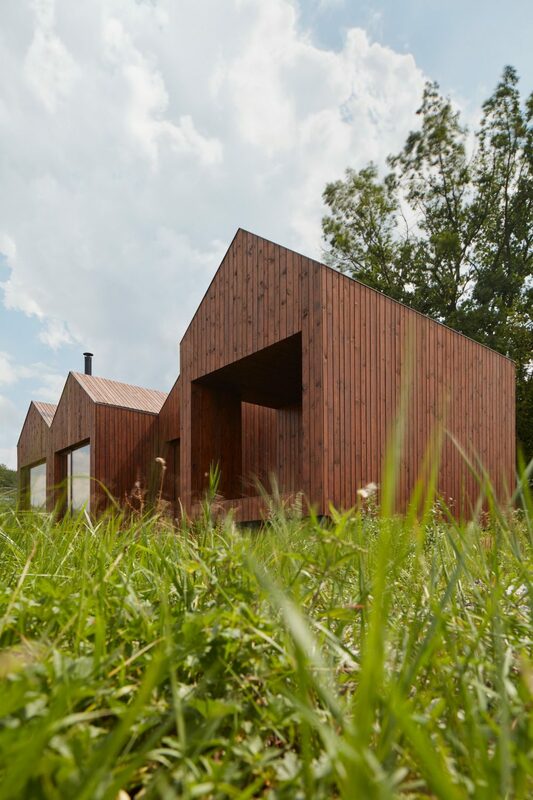 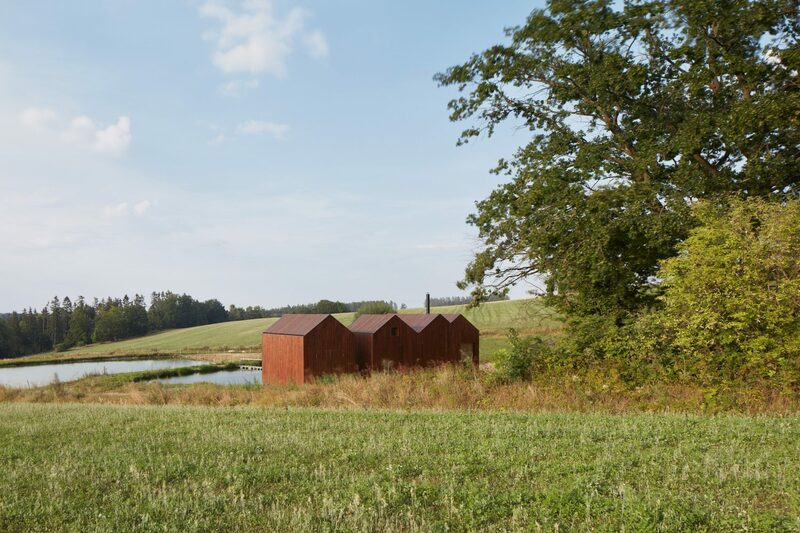 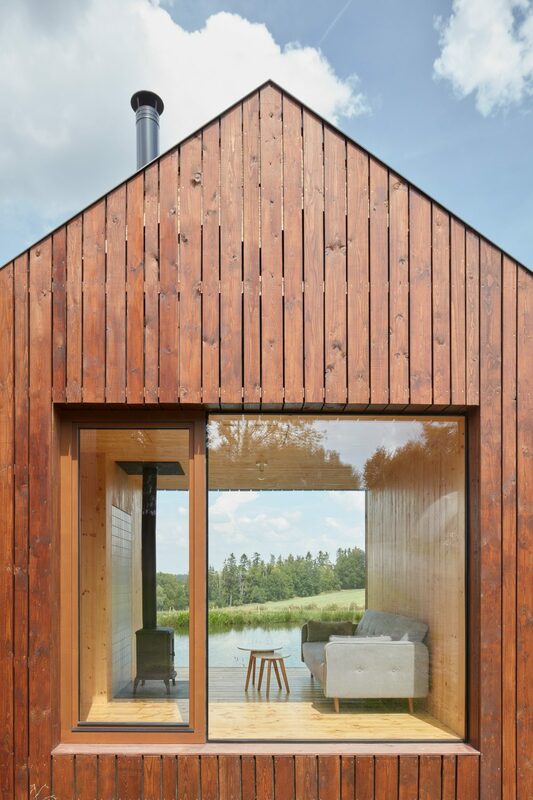 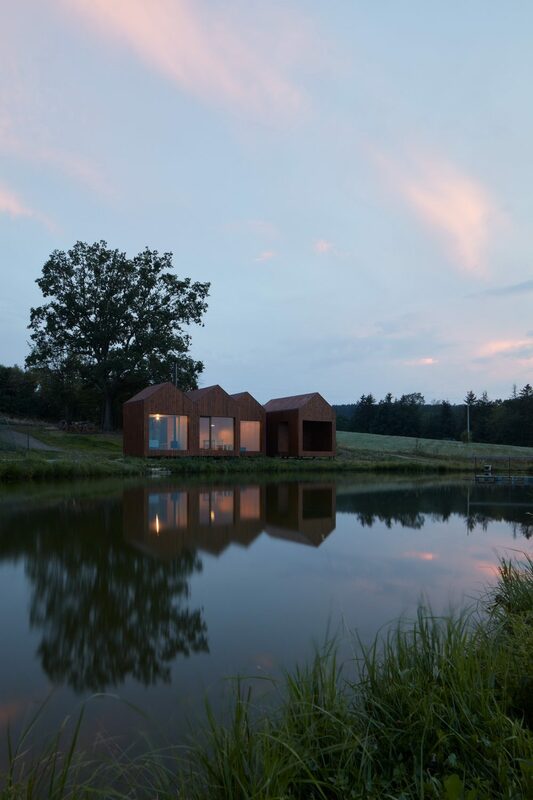 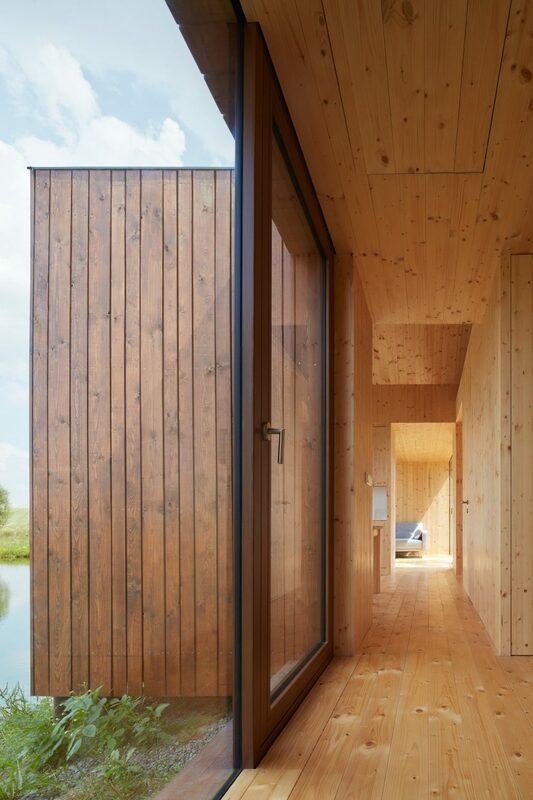 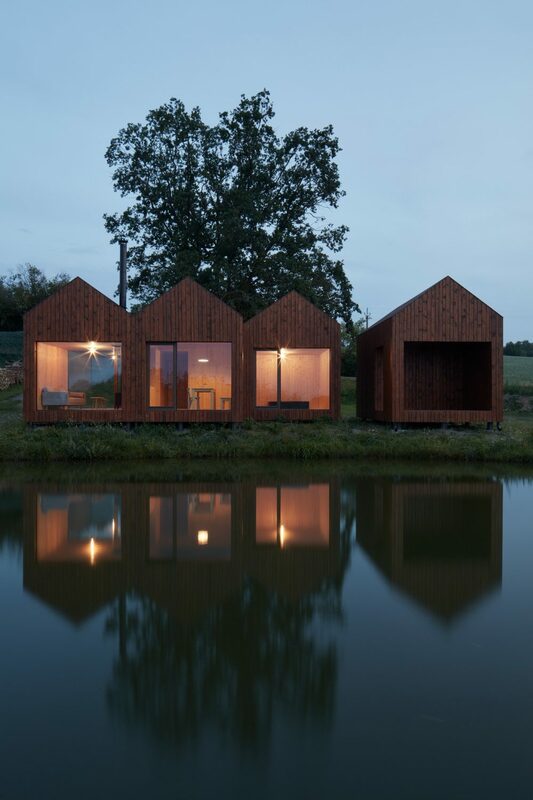 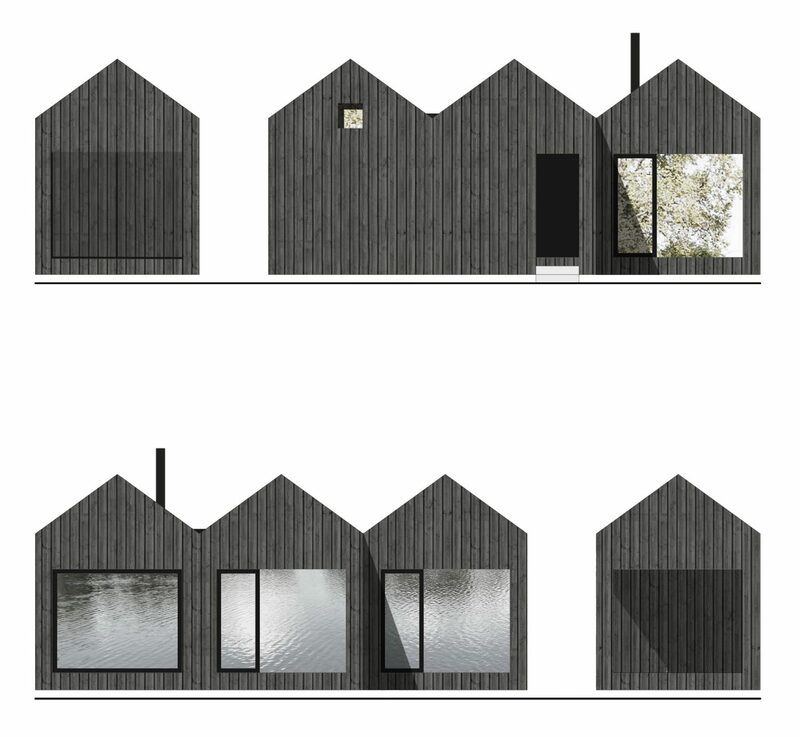 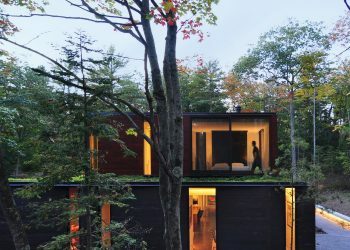 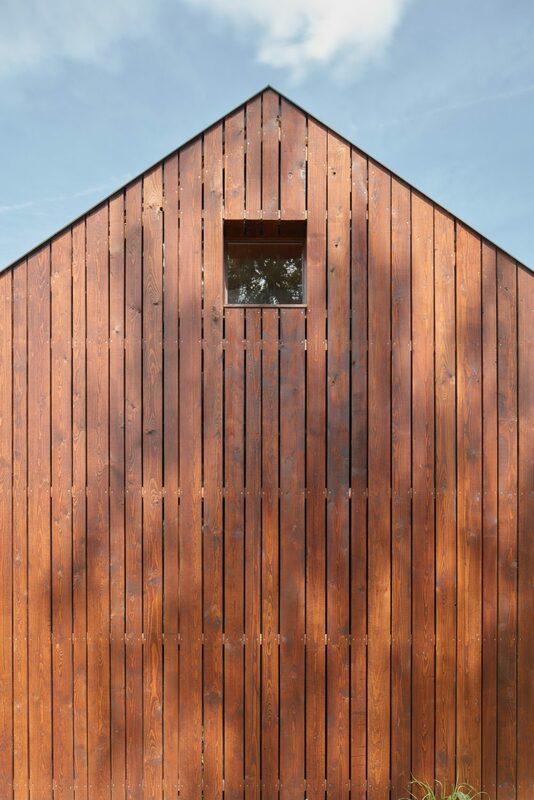 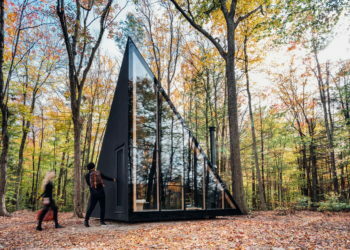 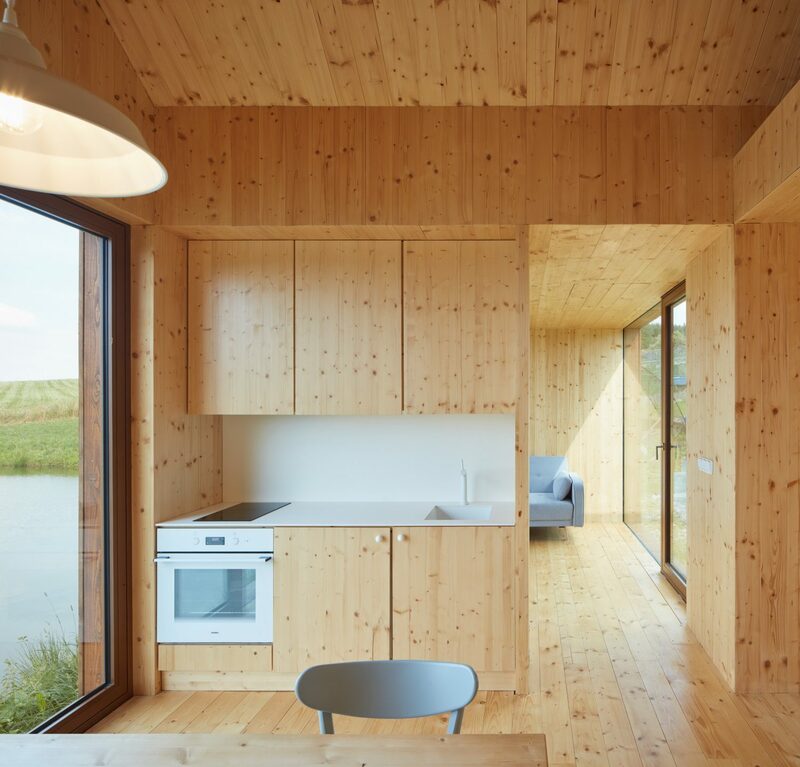 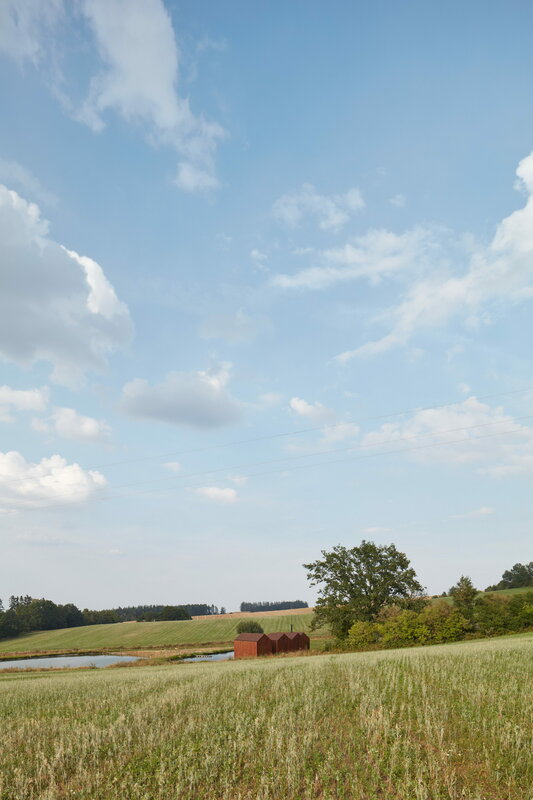 Designed by Atelier 111 Architekti, this cottage near a pond in Vysočina, Czech Republic, was completed in 2018. Its built-up area is 49m² + 23m² (527ft² + 248ft²) since its size is limited by the legislation. 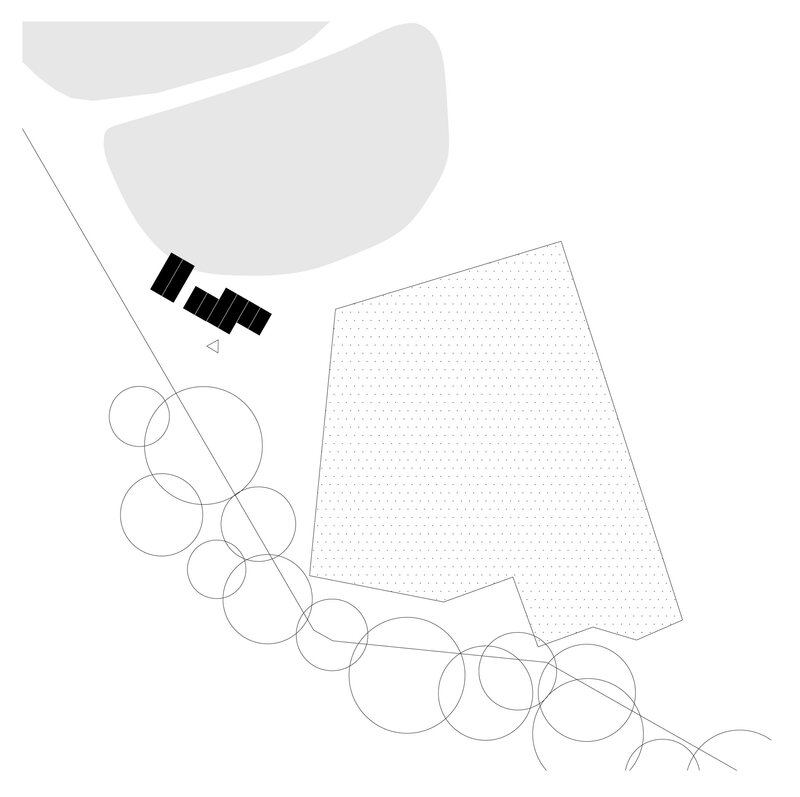 The object consists of four small masses, three of which are connected and one separated, standing nearby. 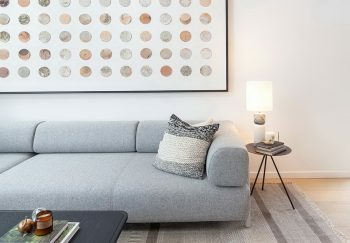 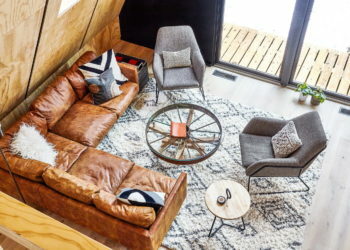 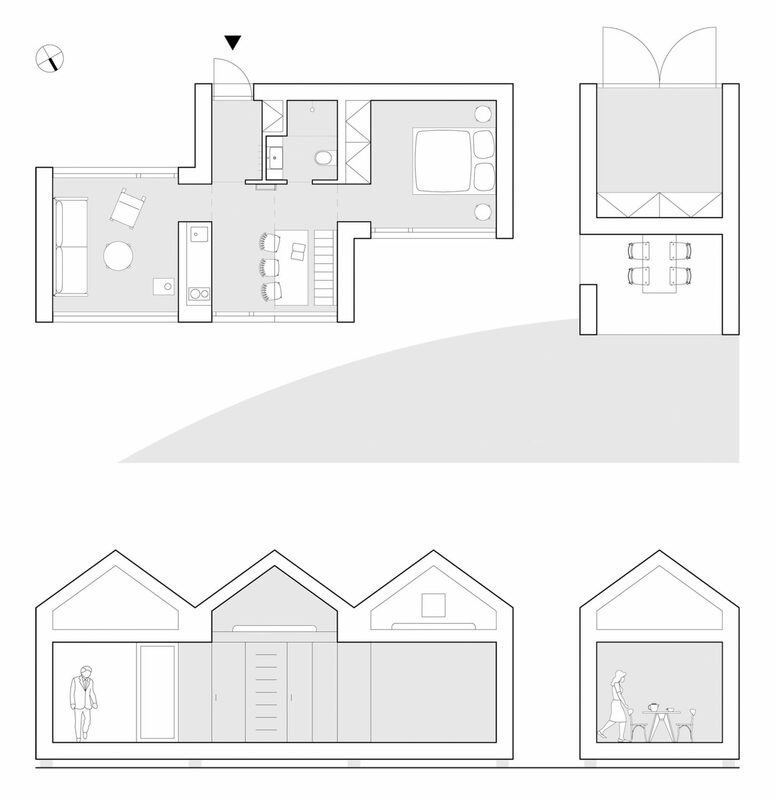 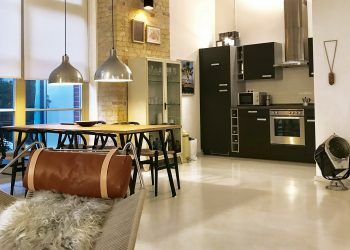 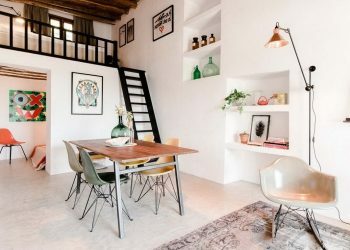 The central space is accessed by a minimal entrance through the kitchen, which also has a built in component of a rather small attic space intended to be a sleeping space for children. 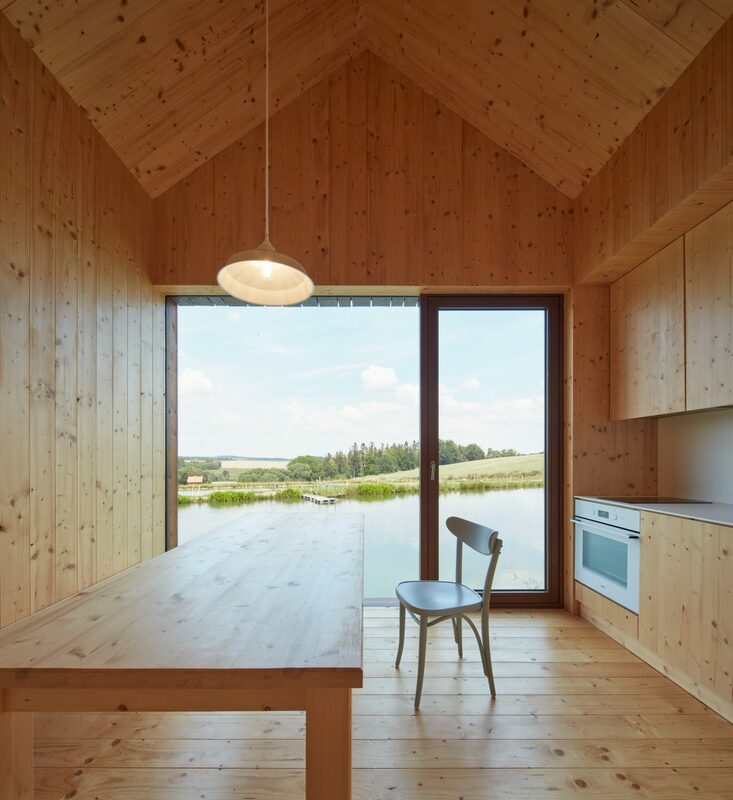 The kitchen offers a beautiful view of the water surface, as well as the bedroom, while the living space also opens up in the other direction, to the sunlit scenery of mature oaks. 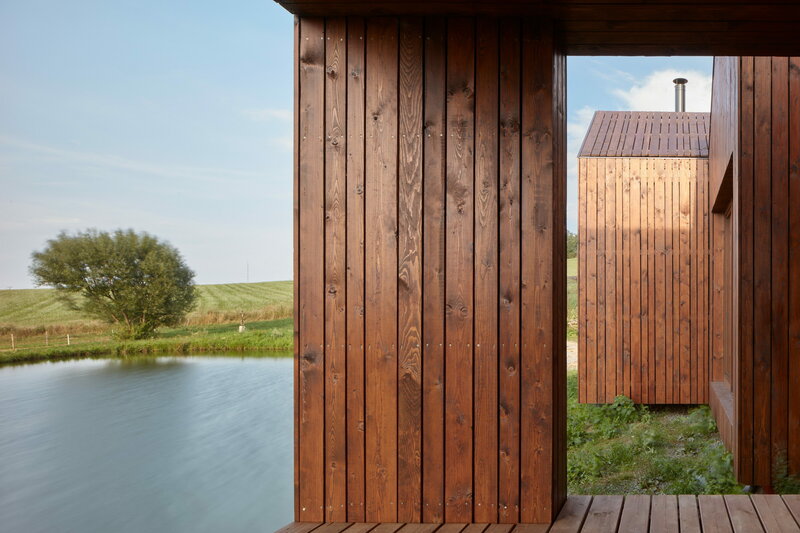 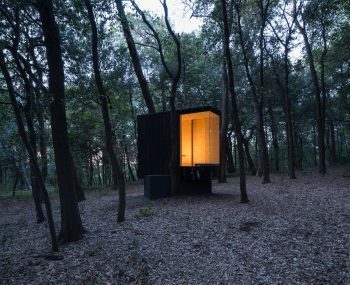 The individual separated object serves as a storage space with a covered porch suitable for drying fisherman´s nets or just silent contemplation surrounded by natural beauty.